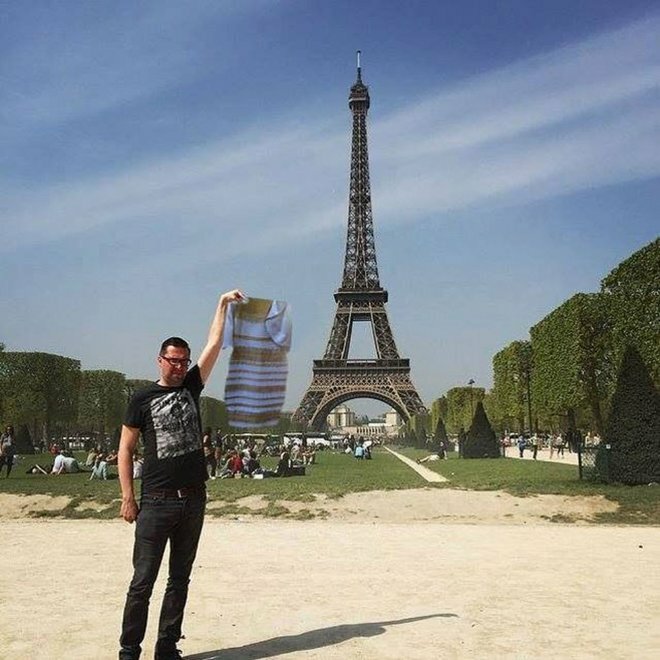 We’re celebrating 130 years of the Eiffel Tower, by remembering that time one man asked the internet to help him out. The internet-savvy among us know that’s a mistake, but Sid Frisjes posted his request on 4Chan, so you can imagine the responses he got. 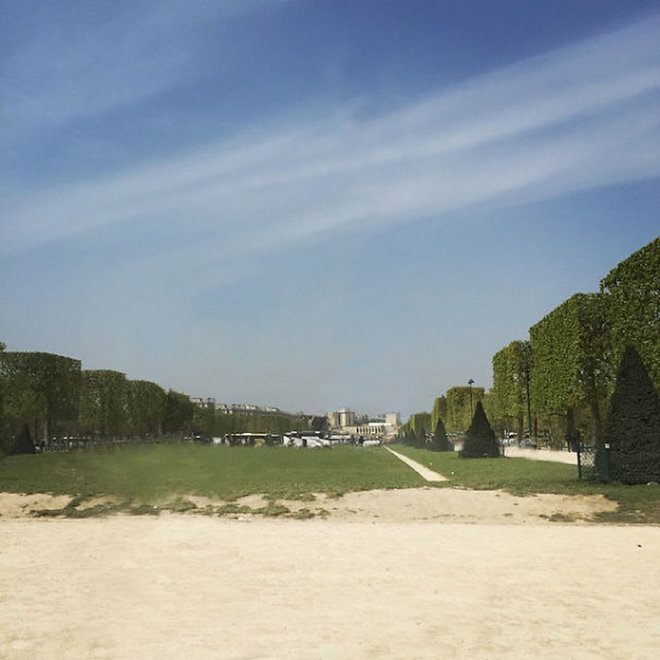 We’ve rounded up some of our favourites for you to enjoy. 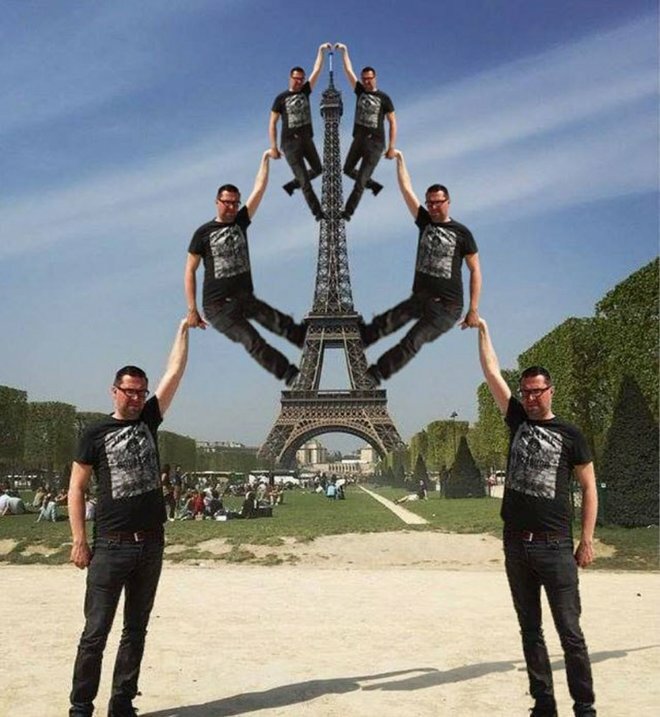 Here it is, the original photo in all its glory. 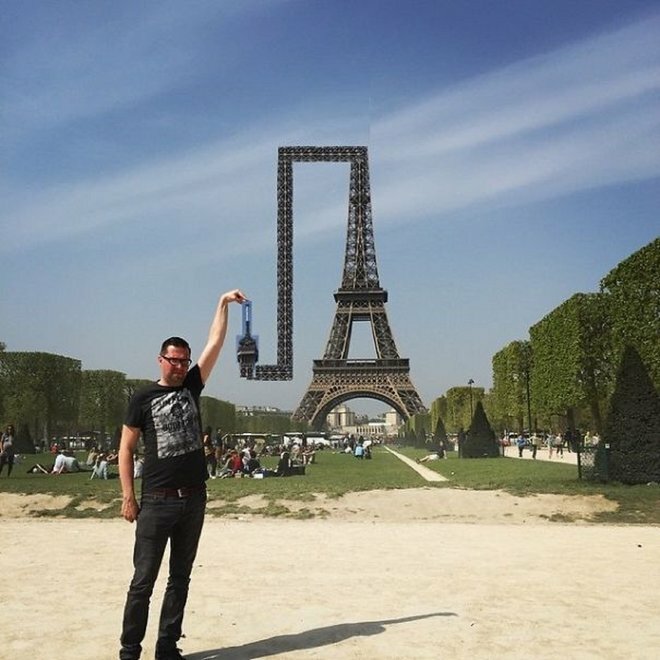 How many tourist photos look like this? 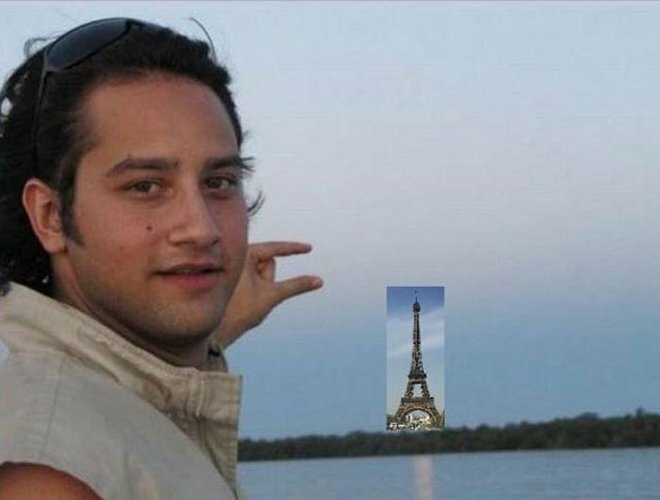 We bet when he had this photo taken this poor chump didn’t realise he’d go on to become an internet sensation. 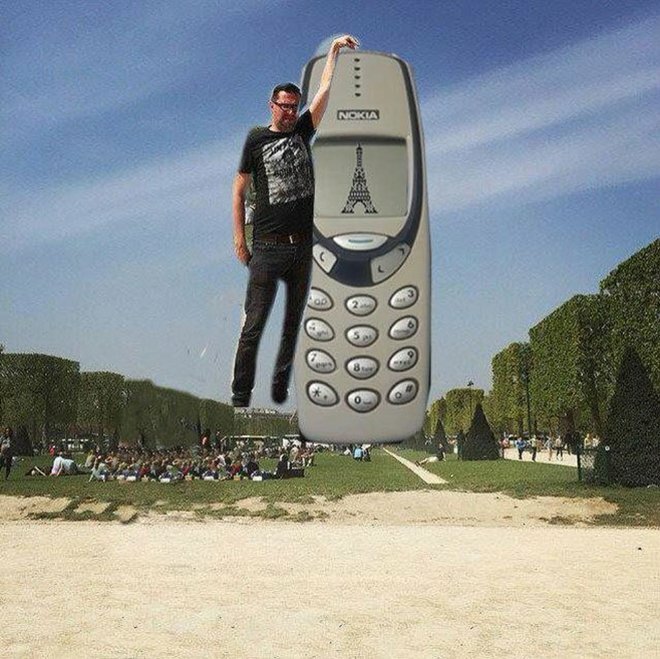 It’s actually fairly fitting that this Photoshopping should make it into the list, not just because we love Nokia phones, but also because the company behind them is actually older than the Eiffel Tower itself. Nokia was originally founded in 1865, unbelievably it started as a paper mill. 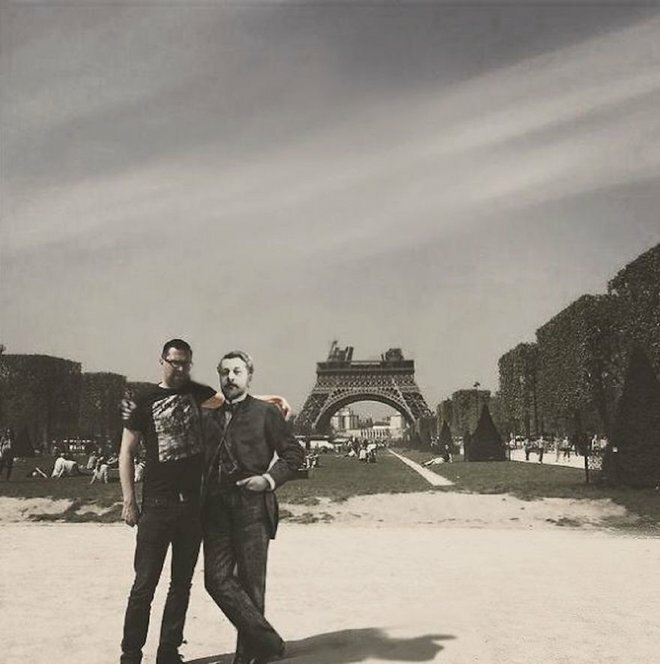 Meanwhile, construction of the Eiffel Tower didn’t start until 1887, with the Inauguration happening two years later. Imagine what you could do with arms like this. Well, at least with arms that long anyway, we’re not too sure the bends, bumps and weird shapes would be terribly comfortable. 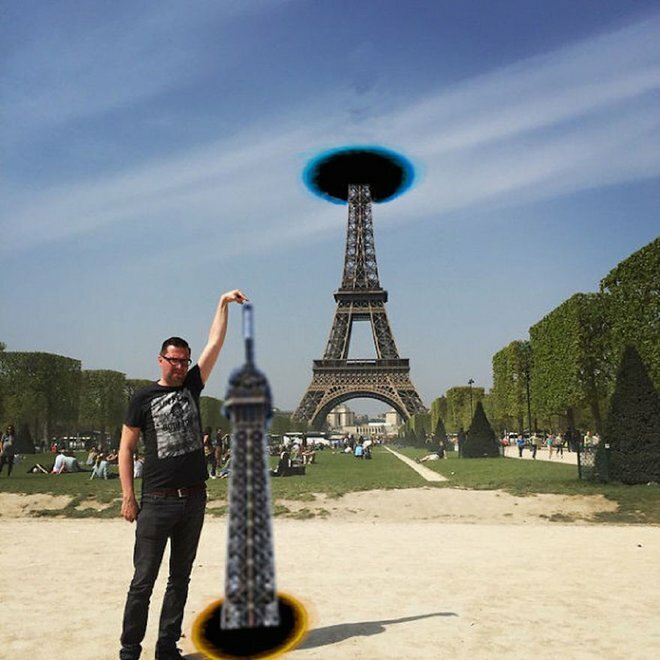 There are many fans of the Portal video game online and we’ve seen all sorts of fun image edits showing the possibilities of what could happen if the technology really existed. We’re not sure this is the best, but it’s certainly amusing. 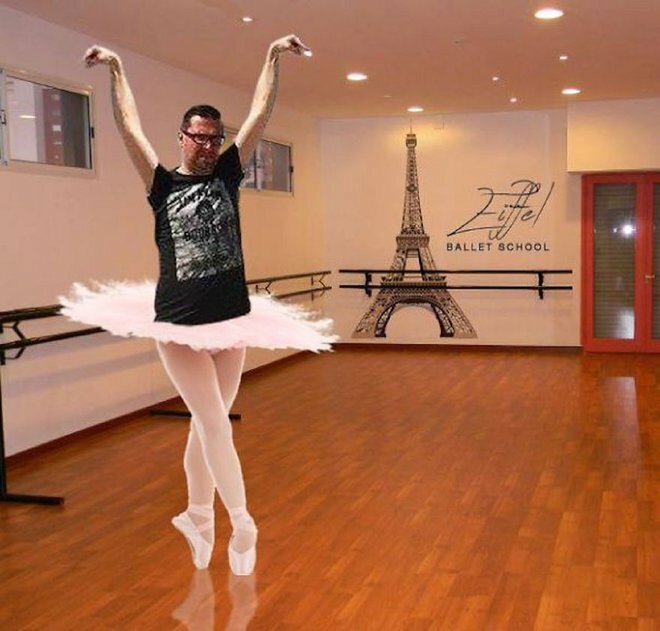 We’re not sure what this Photoshop whizz was trying to say with this edit. But we love it. 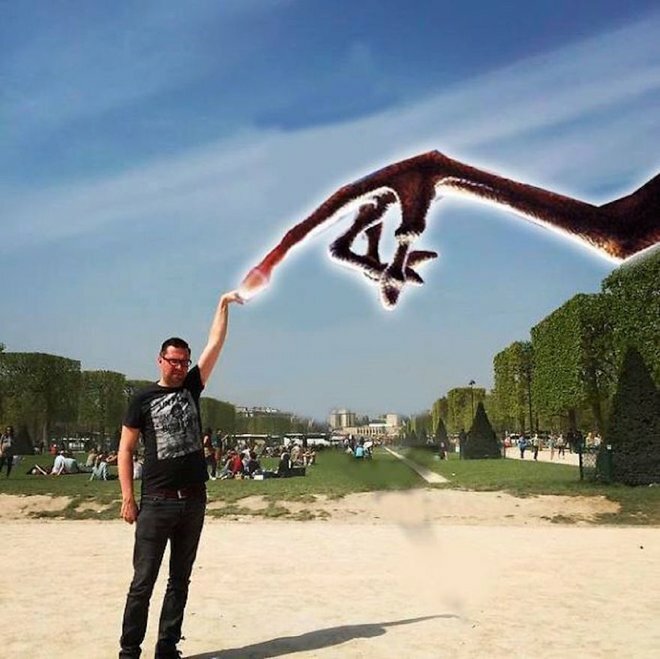 To be fair, our tourist friend would probably have had more luck asking E.T. for help than the internet, at least he could have ridden up their on the famous bike. Sometimes, the lowest amount of effort is the best. 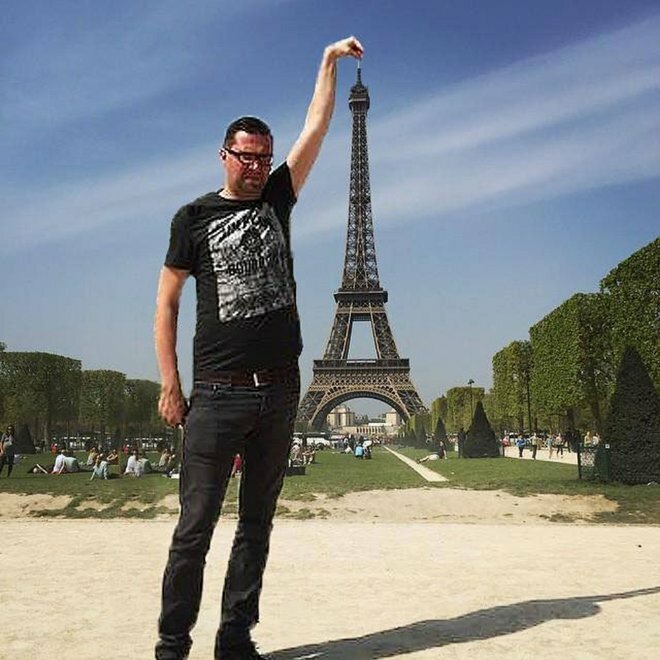 Here, Sid Frisjes is achieving his goal of touching the Eiffel Tower, it’s just not the actual tower he’s touching. 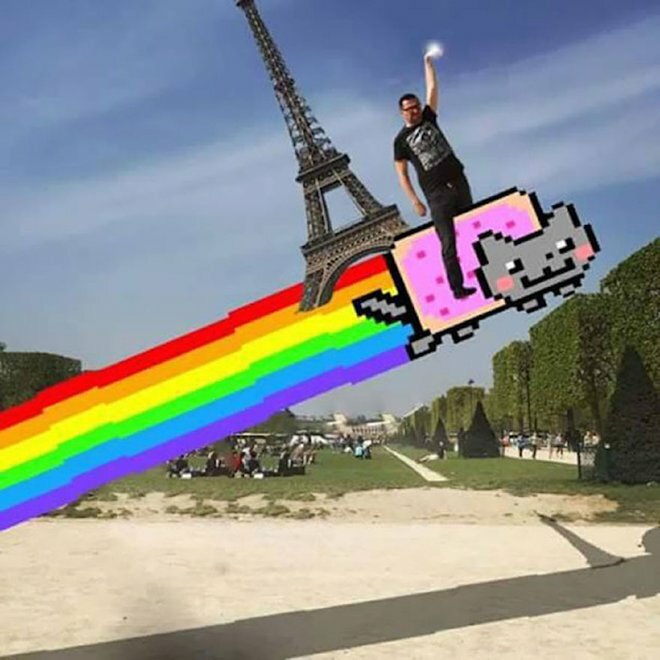 We’ve not seen Nyan Cat in a long old time, but here our animated furry friend is coming to Sid’s rescue in the glorious style that only he can manage. Of course, now we want to see an animated version with a banging soundtrack as they both blast off into space. Sid is seen in a new light, in a world where he and his evil twins have got their wish and are touching the tower in a multitude of places. He’s also grown to King Kong proportions. 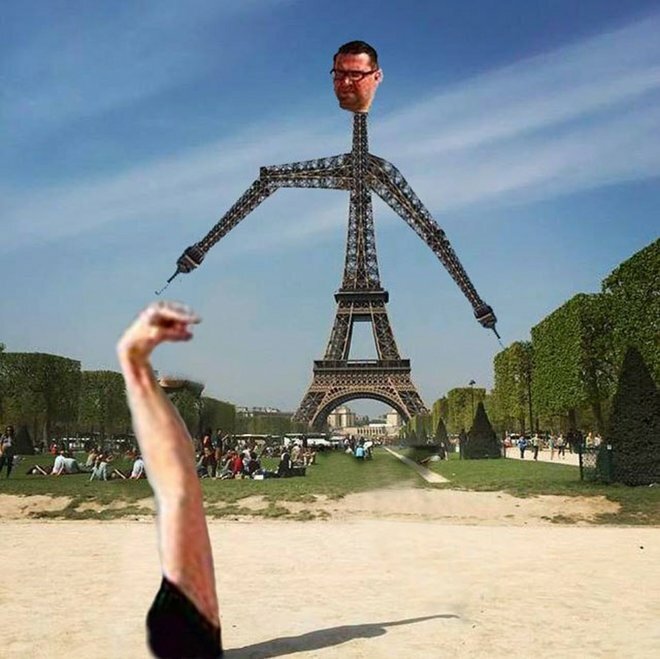 Watch out Paris! Is this the closest Sid came to getting what he wanted from the edits? 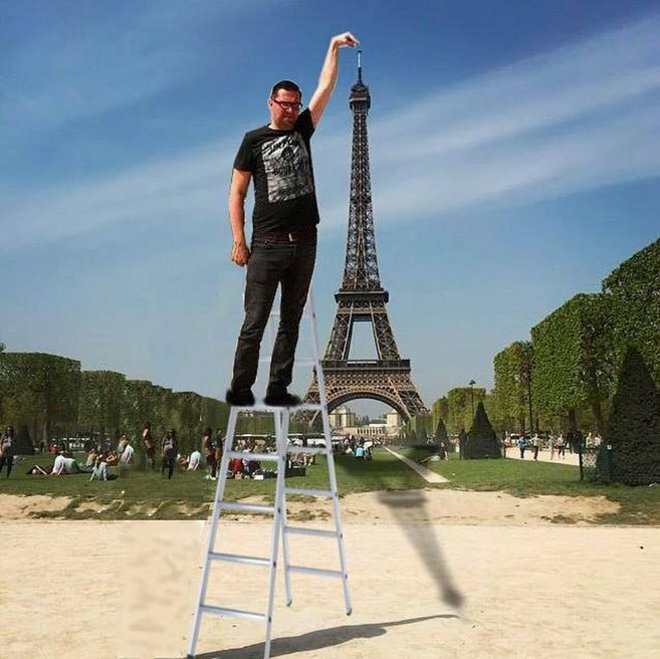 We love the effort in this one – not least because the tip of the shrunken tower can be seen in the shadow too. Not a bad effort. 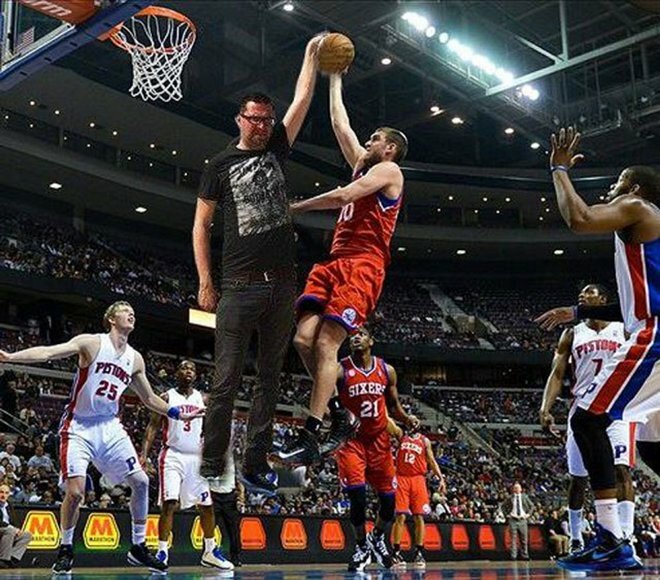 We bet Sid didn’t know he had these superb basketball skills. Far more thrilling that being able to touch the tip of the tower, he’s just casually deflecting awesome net shots like it was nothing. Perhaps the key to success is the mastering of some serious karate or Kung Fu skills? That’s the impression this editor has given with their changes. 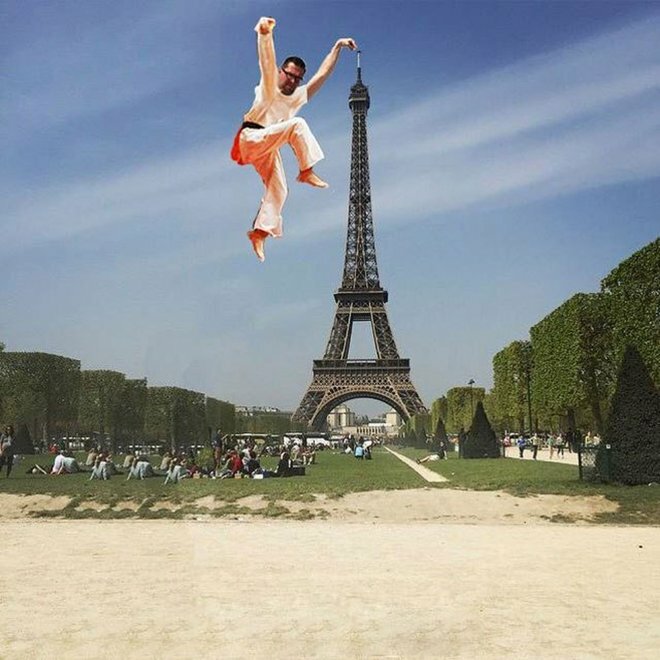 Sid is pulling off a flying crane kick and causally touching the tower in the process. 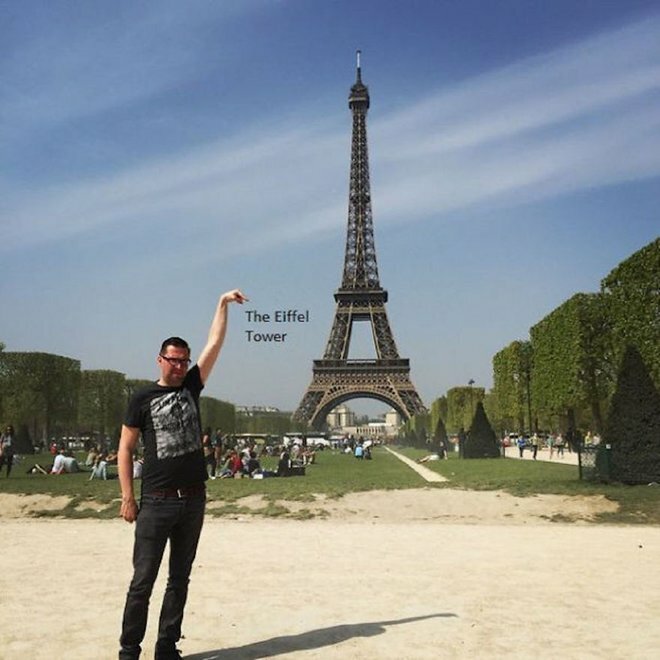 You don’t touch the tower, the tower touches you. 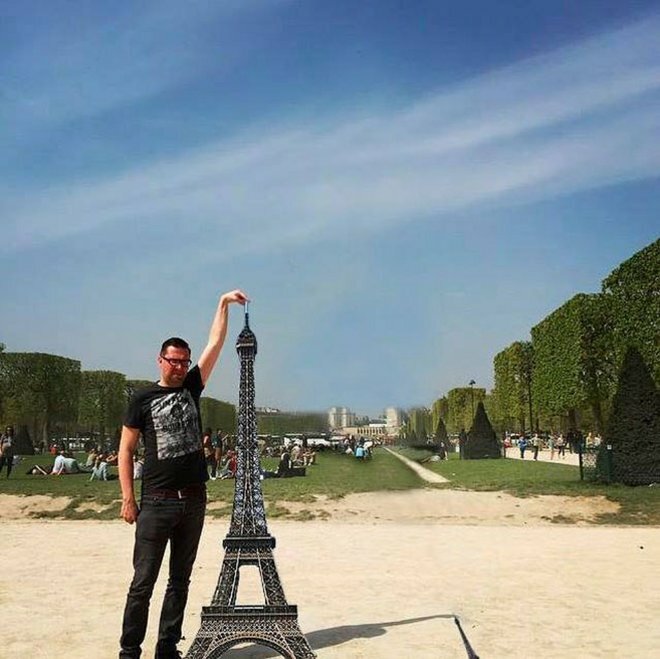 In a new world where architecture dominates man, a vision of the Eiffel Tower is seen reaching out to touch tourists instead. It seems that Sid’s outstretched arm reminded this editor of something special. 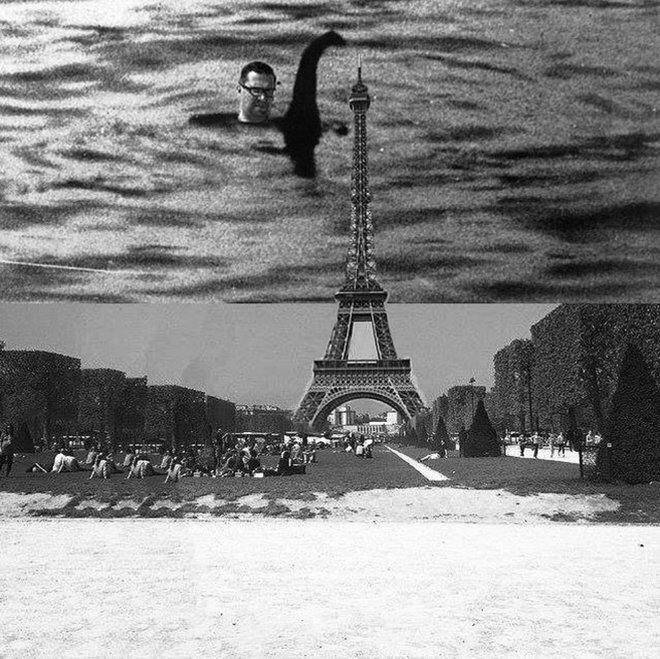 The Loch Ness monster has made a special appearance to help Sid out or maybe he is the mythical creature? We’re not sure what happened with this one, but a lot of drugs were probably involved, either that or a while imagination. We could hardly finish off this list without including that dress (aka “the dress”). 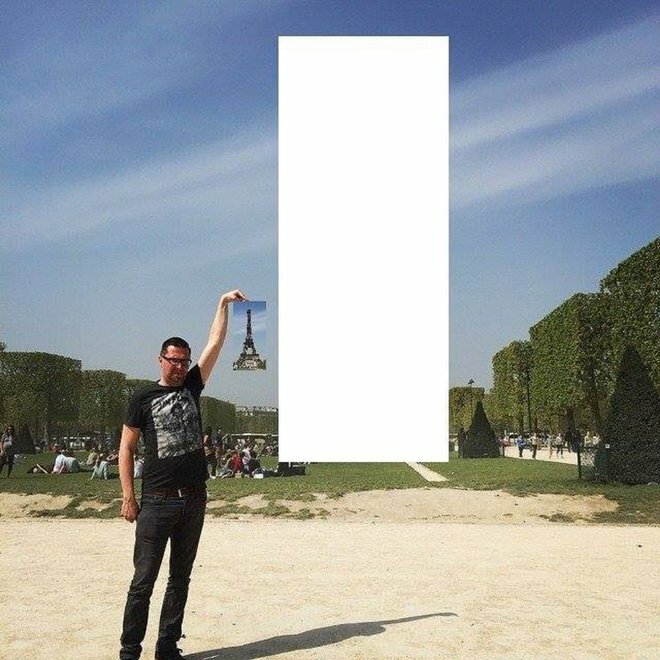 The wonderful optical illusion that had the internet arguing about its actual colour. An amusing addition, if a little off topic.